Another important part of long-term planning is exercising your right to choose what sort of healthcare you will receive. If you are conscious and competent to make decisions, you have the right to choose your own treatments. But if you become incompetent because of brain trauma or because of another illness, you will not have the right to make decisions. By using a power of attorney for health care, you can indicate which treatments you’d like to receive in advance, so that you will receive your desired healthcare even if you can no longer make decisions for yourself. 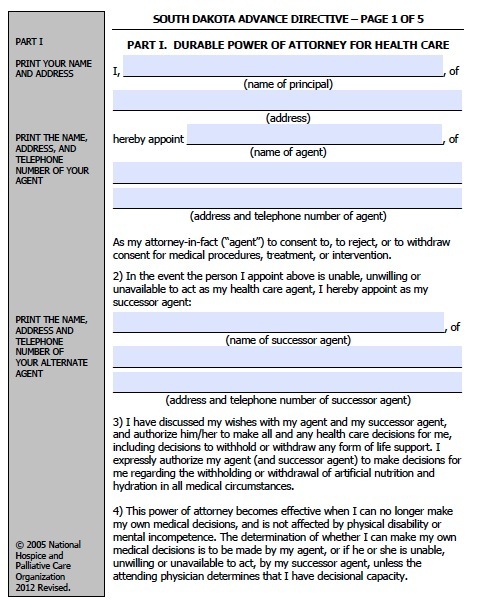 The power of attorney for health care enables you to name an agent to make most any healthcare decisions for you. This can be advantageous because the agent can advocate for you preferred treatments to your doctors based on your values. Sought Dakota also recognizes the living will. This document lets you indicate which life-sustaining treatments you would want to receive or not receive if you become terminally ill. Living wills do not address other healthcare decisions, but the power of attorney for healthcare does.